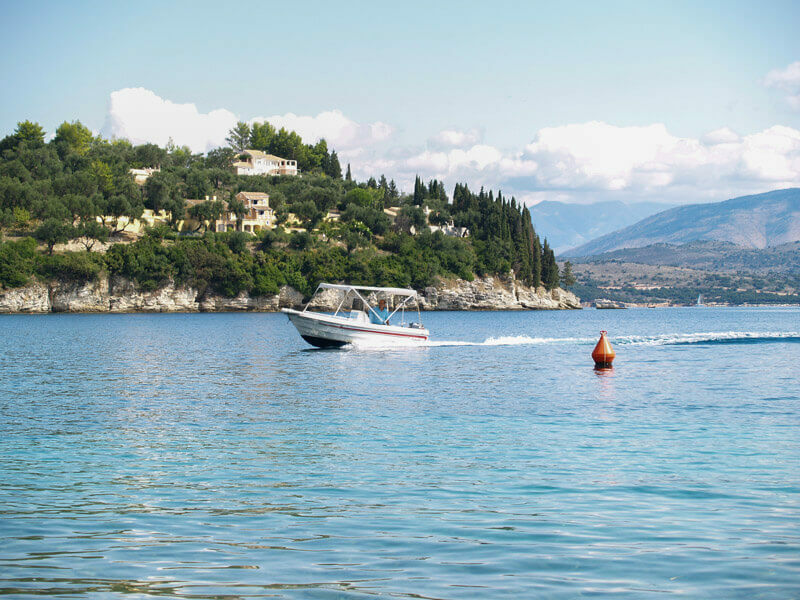 We can arrange for you to collect your boat from a jetty on the North East of Corfu: Kalami, Agni, Nissaki, Kaminaki, Yaliskari, Kouloura, Kerasia, Saint Stephanos and Avlaki. Starting your day out enjoy the outstanding sights from the sea. We know that a day at sea will be one of the highlights of your holidays. There are many pretty coves and beaches that can only be accessed by sea and you will be amazed at how many caves that dot the island’s coast. Go fishing or relax on your boat. 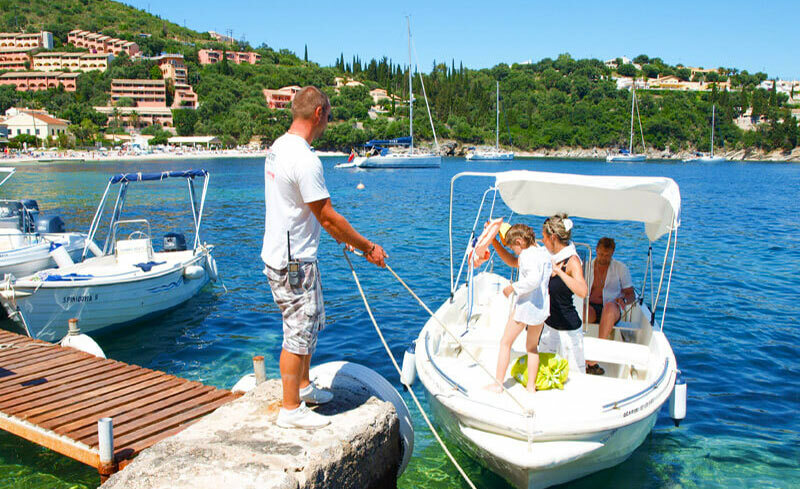 Boat rental is very popular so make sure you don’t miss out! Simply e-mail us on sunshine@otenet.gr and tell us the rental period and type of boat. Suitable for people who like a bit more speed , for families or groups of friends. Ideal for those who would like to visit the surrounding bays to escape from the crowds and enjoy the quiet side of Corfu. 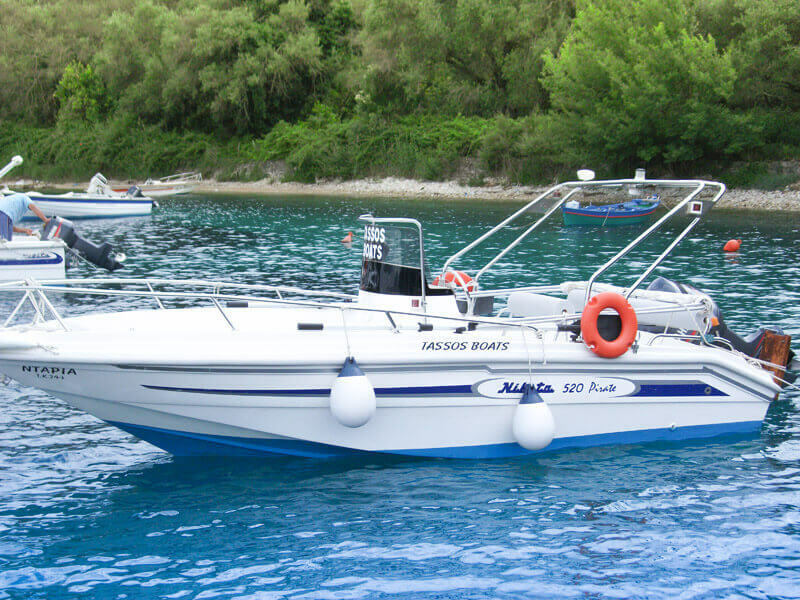 Luxury speedboat suitable for people, who like speed but at the same time want to keep the costs low. Everything you need for a fantastic trip out on the sea! *This boat needs a power boat license. All boats are fitted with a steering wheel as opposed to standard tiller steering. The outboard petrol engines are four stroke offering better fuel economy and reliability compared to 2-stroke engines. They feature electric start and trim.